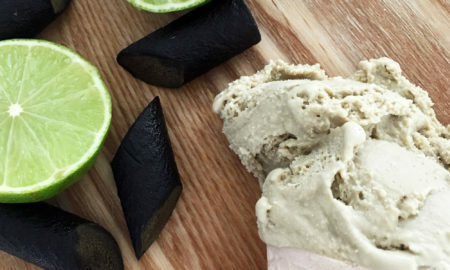 One of the reasons I enjoyed blogging, particularly in the early years, is just how much stuff it forced me to discover in the name of culinary experimentation. One blog post would have me up half the night reading up on everything from why coconut oil tastes like soap, to why blue food colouring shouldn’t be consumed in huge doses (these Blue (Berry) Velvet Cupcakes will prove this point…). And now, on this fine day, I learnt more about ham than I probably needed to. I had heard about Cherry Cola Ham here and there on the interwebs so I decided to try something different this year for Christmas. Of course, cooking meat in soft drinks is nothing new. When I lived in Japan, some Filipino friends taught me about chicken cooked in lemonade. They swore by it and I believed them. I just never tried it until twenty years on. So here I am with some cans of Cherry Coke a kilo of ham. It was only after buying my ham that it occurred to me that I wasn’t exactly sure what ham I was meant to use. It didn’t help that the many recipes online for Cherry Cola Ham called for different types of ham. 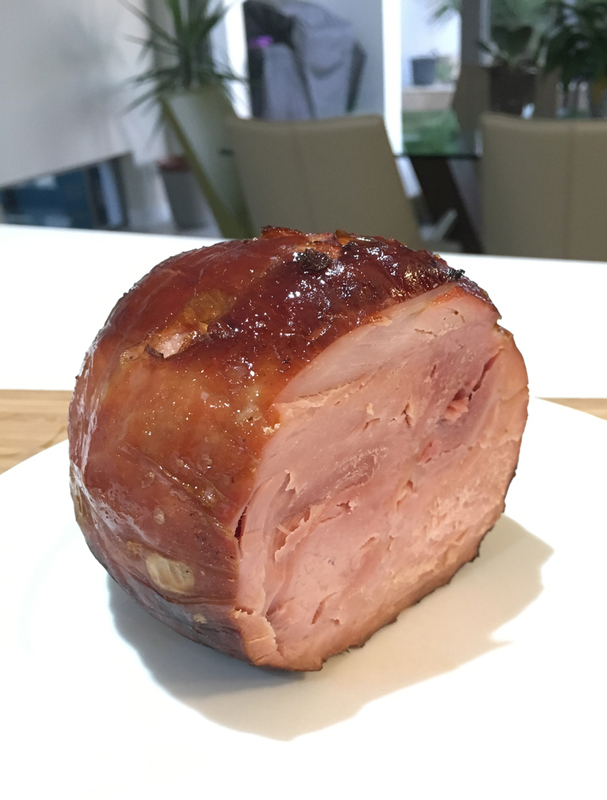 Cooked, smoked, boiled, raw, country… Many people swore by Nigella Lawson’s Cola Ham recipe, but that required gammon (wha?). No one had a concrete rule for which ham to use. This meant I had to dig deeper to work out why. Either way, being pre-cooked, it seemed wrong to boil a chunk of ham again. However, I finally found a few welcomed mentions of slow-cooking ham in cola instead. Slow-cooking would let all the goodness happen without turning the poor meat into inedible chunks of protein. 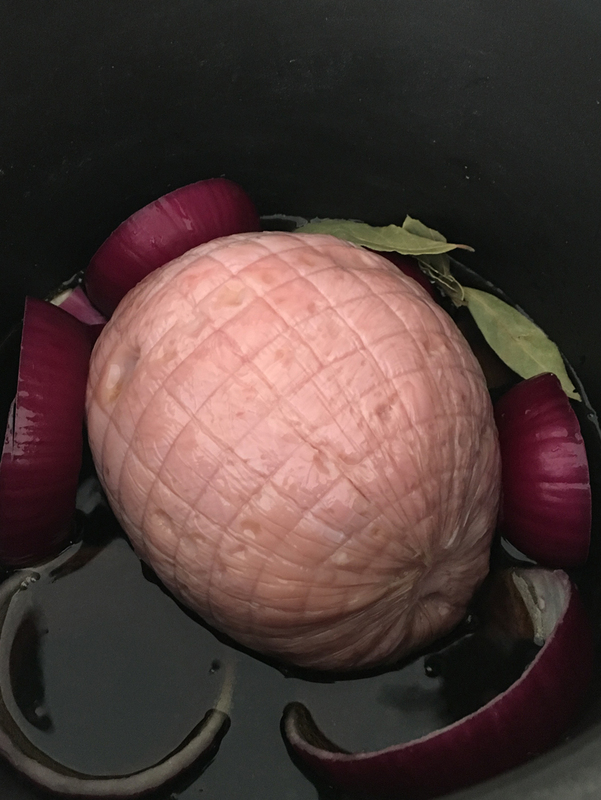 So I went ahead and put my mini ham into the slow cooker with two cans of Cherry Coke, half an onion, a few peppercorns and bay leaves. I let the ham cook for three hours (turning the mini ham once during the process) until the whole house started to smell good. After removing the ham from the slow cooker, I slice a small portion off to test. The ham was sooooo tender that I barely needed to move the knife through. I made a basic glaze which I spread liberally over the ham and popped it into a hot oven for 15 minutes. This probably wasn’t necessary but I wanted to have a go at glazing ham. We’ll work on that one next year! 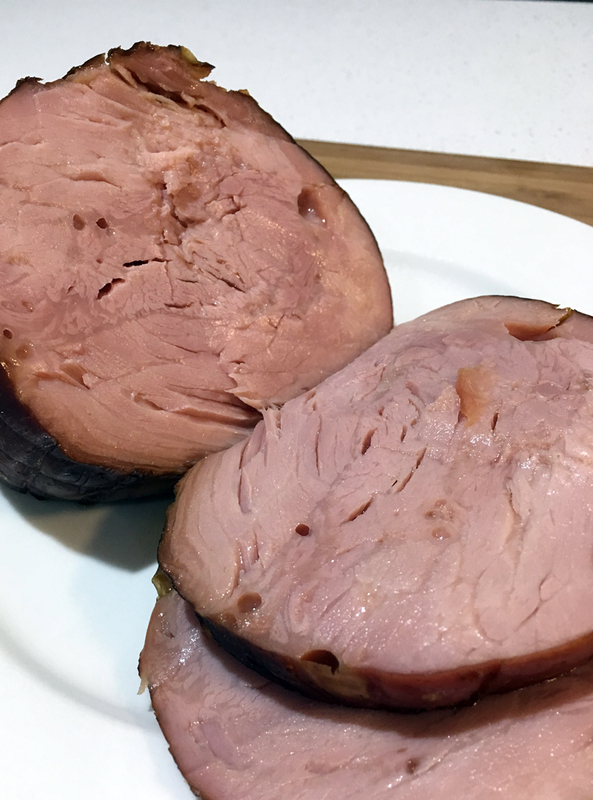 At any rate, this slow-cooker method was pretty good way to make a good ham better. As always, I use my husband as a guinea pig, usually without explaining what he was actually eating. He loved it! For me, I think the cola process imparted a subtle flavour that complemented the salty ham well. It surely did improve the texture of the ham which even after two days seems much more tender than what I know of ham (which isn’t a lot but go with me on this). I’m not sure if the Cherry aspect of Cola ham makes much difference but I did like the fruity notes that permeated into the ham. Only just noticeable through the slow-cooking method but no doubt more pronounced if the ham is boiled in it. 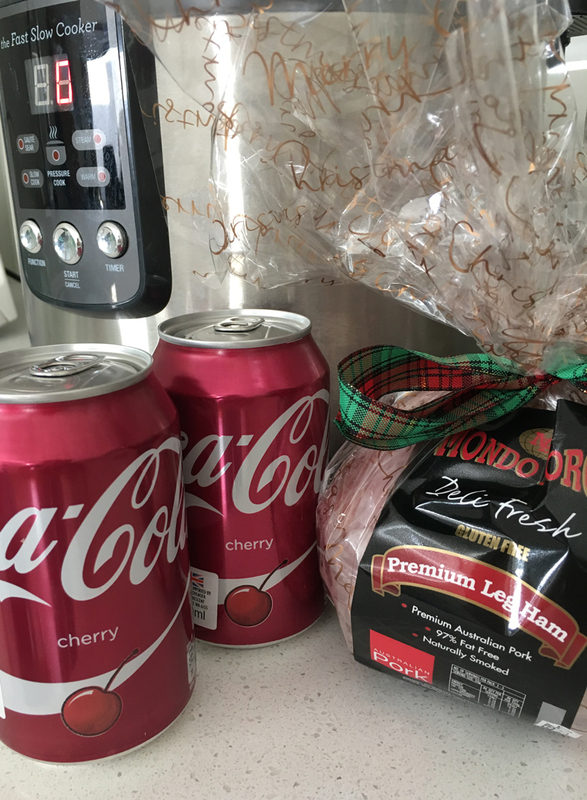 However, if I do this again for Christmas next year, I’ll probably try regular Coke as it’s way cheaper than the imported Cherry Coke we get, and I’ll be having a stab with 4+ kilos of raw ham.